Last modified on Saturday, April 20 2019. 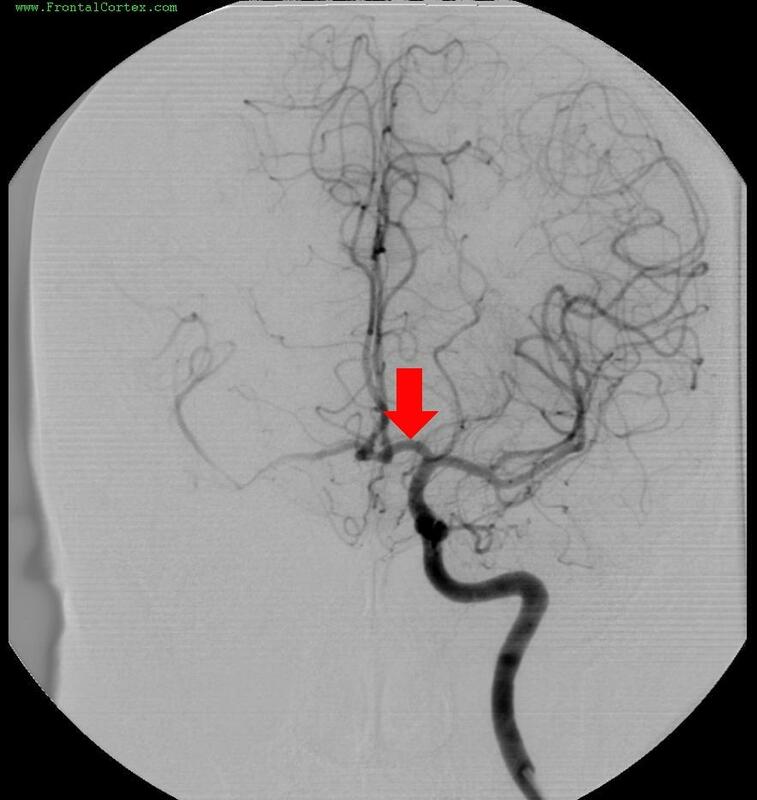 In the angiogram shown above, what is the structure indicated by the blatantly obvious red arrow? This question was created on October 16, 2007 by jdmiles. This question was last modified on April 20, 2019.